Perhaps more than anything else in our lives, the foods we regularly eat help determine whether or not we will become ill, or remain healthy into older age. Whether vegetables, fruit, meat, oils or grains, foods contain influential substances including antioxidants, phytonutrients, vitamins, minerals, fatty acids, fiber and much more. Decreasing inflammation – Inflammation is the body’s attempt to heal itself after an injury, defend itself against foreign invaders like viruses and bacteria, and repair damaged tissue. Its job is to heal, but in many cases, it also contributes to chronic diseases. Foods that decrease inflammation: tomatoes, olive oil, green leafy vegetables such as spinach, kale, and collards, nuts like almonds and walnuts, fatty fish like salmon, mackerel, tuna, and sardines. fruits such as strawberries, blueberries, cherries, and oranges. Balancing hormones – Abnormal changes to your hormones can lead to accelerated aging, diabetes, obesity, fatigue, depression, low mental capacity, reproductive problems, and an array of autoimmune diseases. Foods that balance hormones: protein such as chicken, fish, eggs, healthy fats like nuts, seeds, avo, olive oil and green tea. Balancing blood glucose levels – Poorly managed blood sugar levels can cause cravings, fatigue, neurological damage, mood disorders, hormonal imbalances, and more. Foods that balance blood glucose: vegetables, melon or berries, higher-fiber foods: beans, brown rice, sweet potato, butternut and lean protein like chicken and fish. Eliminating toxins – In modern society, we are bombarded by chemicals from our diet and environment. Toxicity contributes to inflammation, autoimmune diseases, infertility, hypothyroidism, fibromyalgia, etc. Lihana has done amazing in her weight loss journey following her personalized meal plan, she has been so positive and determined from the start, to take charge of her health. Lihana shares her journey and what she has learnt through this amazing and inspiring transformation! Kirby: How much weight have you lost in total? Lihana: I weighed 79.9kg when I came to you, I now weigh 71.7kg. A total of around 8.2kg in 4 months. Kirby: What was the most difficult part of the diet plan? Lihana: I am a mom of a 3 year old and it is so easy to lose yourself in motherhood, work and being a wife. I have tried all types of diets and nothing was sustainable. In my mind I was quite healthy but I came to the realization that I actually don’t eat a lot, but when I do I eat all the wrong types of food. The biggest challenge was the mindset change and to realise that this will not be a quick fix but a LIFESTYLE. I had to decide to do this for me and in that way I can be an example to my daughter, of how to be healthy and it does not have to cost you a fortune to cook nutritious meals. Kirby: What was the easiest part of this journey? Lihana: The easiest part was the weigh in sessions with you as the anticipation of your results can be quite exciting. Kirby: Can you share some tips and give advice to others in your shoes, just starting the diet plan? Lihana: Do not see it as a diet, this must be a lifestyle change. You must do it for yourself and you will not lose the weight in one week, you definitely did not pick the up weight overnight. ALWAYS remember where you started and that will make the end result so worth it. Every kg, cm and body fat % I lost was like a brick off my shoulders. I am so glad I got to meet Kirby from Alex Royal Dietetics. She has guided me and supported me all the way. 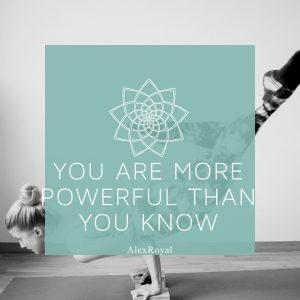 http://alexroyaldiet.co.za/wp-content/uploads/2019/02/adb76d4b-d453-4b46-ab9c-4f5a902a9d6b.jpg 1280 1280 Alex Royal http://alexroyaldiet.co.za/wp-content/uploads/2015/01/Alex_Logo1.png Alex Royal2019-02-27 13:03:042019-02-27 13:03:04Success Story- Lihana - "Its not a diet, its a lifestyle"
One of my most determined and motivated clients, Ismail, has done exceptionally in his weight loss journey following his meal plan, losing 47kg. He shares his journey and what he has learnt through this amazing and inspiring transformation! Ismail: I was at 164kg, my heaviest just before I came to see you. I am currently around 117kg and my aim is to get into the double figures soon. 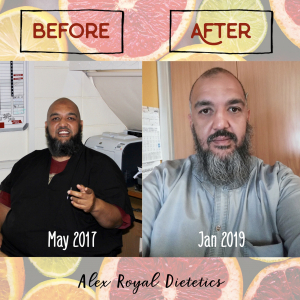 Ismail: When I came to you I was in the process of doing some soul searching and trying to understand where I wanted to be in terms of my weight. The difficult part was realizing what my bad habits were and sometimes still are, and to understand what the food does for me and to me. With the help of the consultations and knowledgeable advice you gave me – I started to understand the situation I was in and I could then reflect seriously on what I wanted from my life. The difficult parts were removing the years of bad eating habits and changing it into a healthier way of eating, this is still a learning curve for me. The discipline in learning how to cook nutritious meals for myself was key in breaking those old bad habits. I always remind myself to have more veggies and salad and to start filling my plate with those first! I found it difficult in the beginning to get into a regular routine of exercise and to maintain the momentum of working on my weight, staying on a good eating plan, and working on my emotional self in order to attain my goals. Kirby: What was the easiest? Ismail: The easiest part was coming to my consultations and feeling relaxed and knowing that this is my journey to many little goals during my weight loss. Ismail: Sometimes the road ahead seems like a mountain, but by taking it one day and one meal at a time, is the first healing steps. Get to know yourself and to love yourself and make little changes to improve your health and weight. Keep it up Ismail !!! Happy Spring everybody. The sun is up for longer, the days are getting warmer, and flowers are beginning to bloom, we don’t know about you, but this got us at Alex Royal Dietetics feeling all inspired and motivated. So we decided to develop a 7 day detox program, following on from the incredible success of our 10-Day Thrive Detox we ran in August. The 7-Day detox is just what you need to kick start the new season and get that spring in your step. 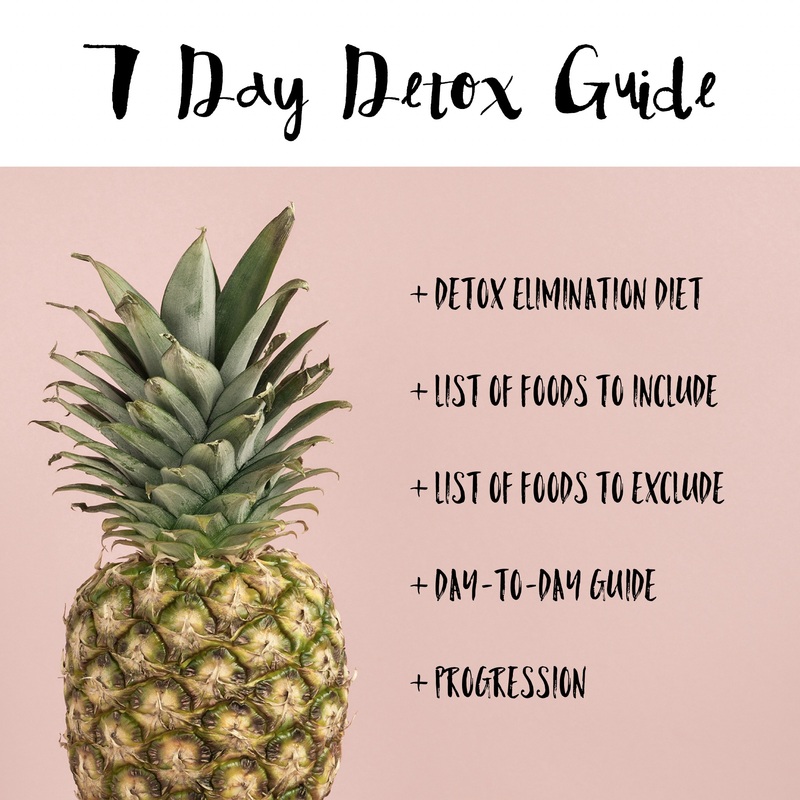 What does the 7-Day Detox Entail? The 7-day detox is done on an on-line platform. You will be assigned to a small Whatsapp group, of +/- 4-6 participants. One of our dietitians Aimee or Kirby, will also be part of the group, and will be your go to dietitian for the duration of the program. 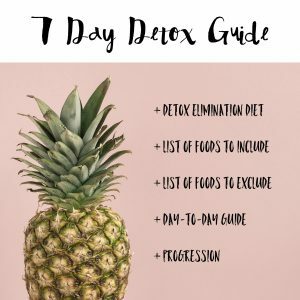 You will get the 7-Day Detox guide, as well as daily support, motivation, recipe’s and meal ideas. 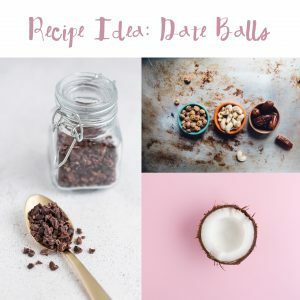 The Whatsapp group will also enable you to lean on each other for support and motivation, as well as allow you to share recipe’s, ideas and tips. The cost of the program is R400. Email info@alexroyaldiet.co.za and one of our dietitians will be in contact with you to sign up for our next enrollment. Enrollment opens on the 6’th September, and start date is 12’th September. We were recently fortunate enough to attend a conference given by international speaker Dr Kara Fitzgerald on the trending topic of Methylation. To many of our clients who have had their genes tested with us, this term should ring a bell. If not, read on, you won’t want to miss this. First things first, what is Methylation and why is it necessary? Methylation is a biochemical process that happens in all our cells. The process is involved in DNA repair, detox, hormone balance, histamine balance, gene building and gene expression (it makes sure the right genes are ‘turned on’ and the bad genes are ‘switched off’) – so you can only imagine why it is so important! Methylation needs to be BALANCED. Both hypo-methylation (not enough methylation taking place) and hyper-methylation (excessive methylation) can be detrimental to your health. This balance is dependent on many factors, the critical ones being: poor nutrient intake, inflammation, oxidative stress, environmental toxins, gut-health and your genetic variation. I hope you are starting to realise the importance of this process… cue flipping through your DNA health report now. This list looks frighteningly endless… from ADD/ADHD to bipolar disorder, addiction, Alzheimer’s disease, anxiety, cancer, chronic fatigue, dementia, diabetes, fertility issues, hypertension, insomnia, Parkinson’s disease, schizophrenia and thyroid disease (to name a few, OK, to name many, but there are more). How do we achieve balanced Methylation? As mentioned before – methylation balance is what will ensure that all the right genes are turned on while all the bad genes are switched off, so the balance is what you must strive for. Taking high dose supplementation can often cause you to create an imbalance so the best way to achieve optimal methylation is to tackle your diet. As you can see the list of foods to eat is far longer than the list of ‘banned’ foods. If you think a ‘Methylation promoting diet’ is bland, think again. 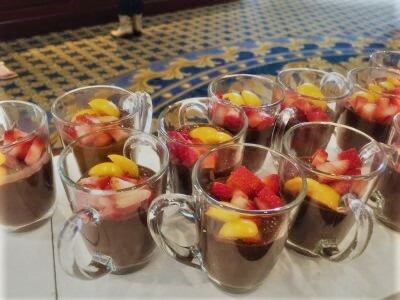 Have a look at some of the amazing food we were treated to at the seminar. Do you have any queries? Is gene testing of interest to you? Book your appointment now. Skinny Legs café – yes please! 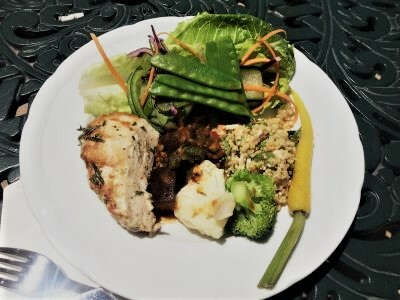 I’m sure by now you have noticed that we have been on some what of a hunt to find delicious (and healthy) spots in the City Bowl area. Well… delicious we have found. 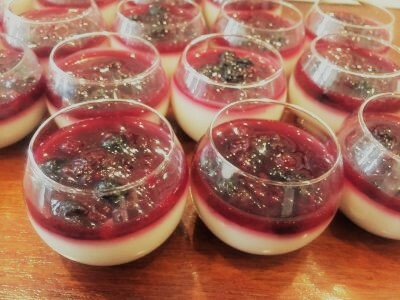 Skinny Legs cafe – a luxury cafe and we know why. This gem in lower Loop Street opens at 7 am making it the perfect pit stop on the way to work. What had us coming back for more you ask? 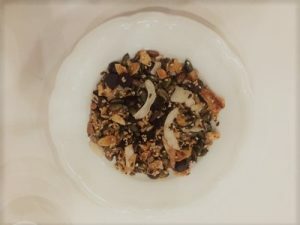 Coconut Quinoa – there is already a dish called ‘Porridge of the Gods’ but this one has to be a close second. Vegan and gluten free! Buckwheat pancakes – another gluten free treasure with minted pea puree, creamed feta and rose harisa. Gluten Free Lentil Salad with smoked trout, a poached egg and saffron aioli. A high protein and omega 3 powerhouse. http://alexroyaldiet.co.za/wp-content/uploads/2017/10/Skinny-legs-cafe.png 457 805 Kalsey Visser http://alexroyaldiet.co.za/wp-content/uploads/2015/01/Alex_Logo1.png Kalsey Visser2017-10-16 15:17:412017-11-21 16:03:37Skinny Legs café - yes please! The theme for Nutrition Week 2017 is # Rethinkyourdrink – choose water! Sounds so simple, so easy. It is. Water is a crucial part of overall health and most people don’t get in enough on a daily basis. Instead, everyone is opting for ice teas, carbonated drinks, alcohol or warm delights like tea and coffee. The concept for this years theme is to make you more aware of what you are actually drinking. So not to scare you off, but I have listed a couple of facts that might make you #Rethinkyourdrink now! The high sugar content is something to fear. Studies have shown that adults who drink two or more sugary drinks a day increased the risk of developing diabetes by at least 24%. Equip yourself with knowledge. Read food labels to identify the amount of sugar in your drinks. Look for various forms of added sugars like brown sugar, corn sweetener, corn syrup, dextrose, fructose, glucose, high fructose corn syrup, honey, lactose, malt syrup, maltose, molasses, raw sugar and sucrose. A good goal heading into the Summer months: #Rethinkyourdrink and remember that water is a scarce resource, be careful not to waste. Vegetarian? Vegan? Super health conscious? We are well aware that around every street corner there is a new cafe or restaurant flaunting their freshly baked sourdough and croissants. It can be enticing and simply turning in the opposite direction isn’t always the easiest. To all our hungry clients in and around the Bree street area, we’d like to introduce you to – if you haven’t already heard of them – Hungry Herbivore. We decided to give it a try and let’s just say that smashed avo on toast has never tasted so good! 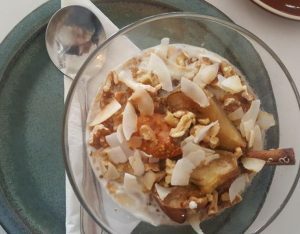 The menu offers everything from all-day breakie (always a plus in my books) to protein deluxe bowls and an array of nutritious smoothies. Invested in a Genes to Plate recipe book yet? If you have, you would have seen some of the most spectacular recipes done by Wild Sprout. A new eatery to hit the Loop Street mayhem. A farm to plate concept with a different harvest table everyday and homemade almond milks – what’s not to love? We couldn’t wait to give this one a go. Superfood juices and smoothies with combinations that will blow your mind! Seriously, the ginger has a real punch. Tummy issues? Have one of the brews that contain kombucha. That’s not even the best part. Wild Sprout sells a range of their freshly made ginger balls, grain-free rusks, biscotti and so many other tantalizing treats that you just can’t resist buying. All their products are in line with our concept of holistic living. Do yourself a favour and head on over to their Facebook page @wildsproutcpt and pop in for a healthy lunch or mid-morning treat.